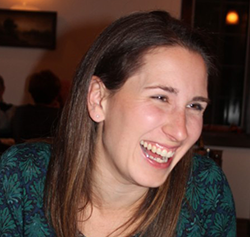 A few weeks ago, my friend Elizabeth Pagel-Hogan asked if she could share a story with me. When I read her story, I immediately knew that this story would resonate with my with readers. Not so long ago, she and her husband were in the position of so many parents, fighting nightly food battles to get their kids to eat. But, for Elizabeth, inspiration struck one evening, and her idea worked so well, that she created a product to help other parents win the food fights in their homes. Today I am pleased to share with you, not only Elizabeth’s story, but also, a giveaway of the product that made such a difference for her family (which Elizabeth has generously donated!) Once you’ve read her story, enter the giveaway using the Rafflecopter form at the end of the post. It was the tater tots that pushed me over the edge. I stood there, hands on my hips, forcing myself to take slow deep breaths as our family of five sat around the table. I’m not sure why I had any hopes for a cozy family dinner. It was a replay of the same dinner time disaster. My four year old Dylan shoved his cheerful blue kid’s plate to the far edge of the table. “They’re disgusting!” he griped. Crossed his arms. Pouted. Then two-year-old Aidan, who adored his older brother, lisped “Disgusting!” through a mouthful of tater tots, and pushed his yellow plate away. I wasn’t surprised by Dylan’s pickiness - but was he now infecting his younger brother? It was too much. I turned away and hid in the kitchen trying not to yell or cry. Why had I expected dinner to be any different? I knew later that evening I’d hear the telltale squeak of the pantry door and the ominous rattle of the goldfish cracker carton as the junkie got his fix. Or maybe I’d unearth silvery smooth fruit snack wrappers from under a couch cushion and crumple them in my angry fist. Pushing away his plate wasn’t the worst he could do, not by far. Many meals ended with him stomping away from the table. Sometimes he’d collapse to the floor, wailing that we hated him for making him eat gross food. Once he made up a song called “Stupid Mommy” about a (stupid) mommy who wouldn’t give him ice cream for dinner. Publicly I denied the fact that Dylan didn’t eat most of the dinners we cooked. I chalked it up to a passing phase. Privately, I panicked. Was it bad mothering to serve a child scrambled eggs for breakfast, lunch and dinner? Before I had kids, I judged friends with children who said their kids were picky. “That’s just an excuse,” I thought to myself. “They are not trying hard enough.” I swore I would raise kids who tasted and enjoyed a wide variety of foods. But each uneaten dinner hinted at my failure. I feared I was becoming the mother I always pitied, helpless and succumbing to the whims of a tiny tyrant. This wasn’t about any kind of emotional support needs my son had. This was about control - and who had it. I wondered with dread what other failures I would face. Discipline problems? Late-night parties? Alcohol? Political debates? 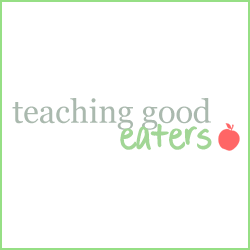 I tried the expert advice regarding picky eaters. On warm summer nights when we grilled and ate outside, I asked him to try one bite of everything on his plate. During cozy winter meals, I told him to join the family while we ate dinner even if he didn’t want to eat. I refused to become a short-order cook and wouldn’t make separate meals. I concocted colorful food-based animals, luscious strawberry hearts, ravenous broccoli dinosaurs, adorable banana caterpillars. There were some foods he’d eat without fail but I felt so pretentious taking my four-year-old into the seafood aisle so he could point a tiny dirty finger and demand smoked salmon. Some evenings we could coax him to try new foods and he would excitedly shout about how good it was! My husband and I would exchange a grateful glance across the chaotic dinner table. Success! But a week later we’d grip our napkins in clenched fists when we placed the same food in front of him and he denied all recollection of tasting it, let alone enjoying it. Like tater tots. “But he knows he likes the tater tots. Who forgets they like tater tots?” I groaned to my husband. “Four year olds,” he answered. That’s when it dawned on us. Maybe in addition to battling for control over his diet, he also had a run of the mill memory problem. We introduced our son to his first food notebook. I explained to Dylan that he would be able to draw any foods he liked in there, as well as the foods he didn’t like, and even foods he was curious to try. “All the foods I don’t like?” he asked with an inimitable quirk of his right eyebrow. “If you try it and don’t like it just put it in the notebook,” I confirmed. That evening at dinner, my husband and I tried not to cheer as he tasted everything on his plate. One item made it into the “Don’t Like” part of the food notebook: tomatoes. He inscribed three dinner items - salt, ketchup and chicken tenders - into the “Foods I Like” part. Yes, I stacked the deck. At subsequent dinners, Dylan showed a real interest in trying foods and putting the ones he liked into his “Foods I Like” pages. He enjoyed drawing red ketchup and orange carrots and writing out the words in sprawling preschooler handwriting. I noticed he ran out of stamina when it came to drawing and writing the letters for “Foods I Don’t Like.” For a long time, tomatoes were the only item on that page. I loved, I mean loved whipping the notebook out. It was my flaming sword, I felt invincible. I had to restrain myself from shoving it under his nose when I served a food he claimed he didn’t like. I could show him, in his own handwriting, the uneven capital letters, the misshapen, amorphous depiction of the food. It was sweet justice. He couldn’t - or didn’t want to - argue with his own food journal. Dylan tried things like clementines, naan and pulled pork. He had a theatrical routine where he would thoughtfully chew a bite, nod and then gesture for his Food Notebook. It has worked so well that when Dylan refuses to eat a food he’s eaten before, my husband and I now only need mention the food is in his journal. A switch is flipped and he happily chomps down the bites. Even tater tots. The Food Notebook saved our family dinners. They are still loud, chaotic and usually include one spill. 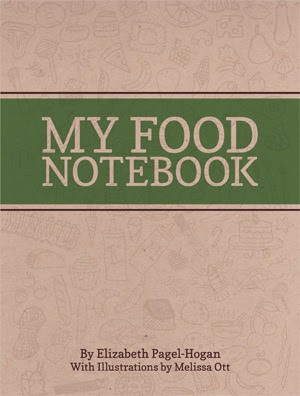 The Food Notebook is battered and splotched with a rainbow of food stains, and I consider each one a ribbon of valor. It empowered Dylan to own and acknowledge his food choices instead of resorting only to oppositional defiance. Dylan’s almost six now, and the Food Notebook doesn’t come out at every meal anymore. He’s better at trying new foods - and remembering that he likes them. We’ve also added a new weapon to our arsenal: Dylan frequently helps us select and prepare dinner foods. He loves finding the biggest purple eggplants, the tartest green apples, and of course the pinkest, gamiest salmon. Having a chance to taste the sauce and add a bit more salt, stir the pot and suggest a side dish really increases his willingness to try even more new things. 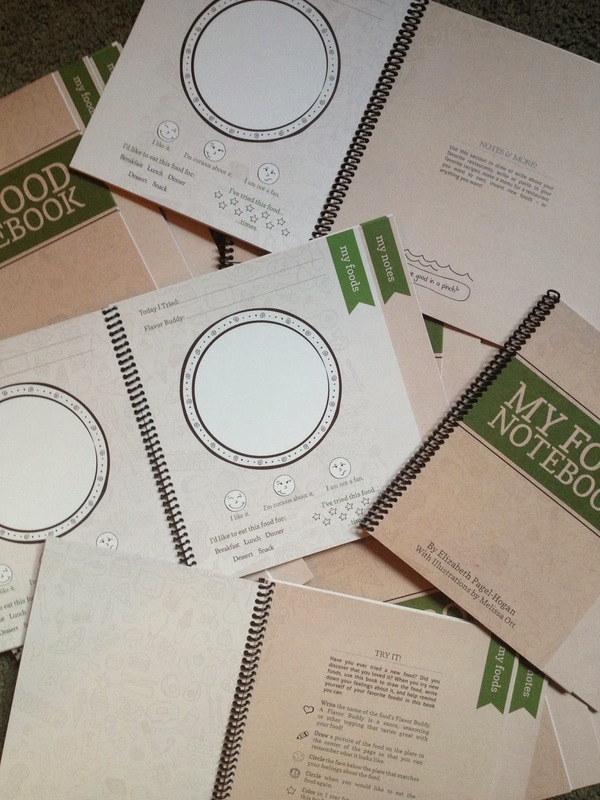 The Food Notebook also saved my self-esteem as a mother. I am now free to obsess and suffer anxiety over the other challenges of motherhood. I like to think of it as a harbinger of happy resolutions to future parent-child disputes, because I know our disagreements aren’t over. As a mother, no one tells you when you’re doing it right. You have to keep your eyes and your heart open to capture those small moments of success and tuck them safely in toyour own Mom’s Notebook. Then, when you’re at a low point, pull them out and remember what you love about being a mother. 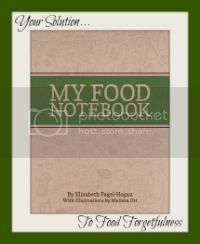 Elizabeth Pagel-Hogan is the owner of Sweet Tooth Communications, LLC and the author of My Food Notebook & The Bumpy, Grumpy Road. You can connect with her at Facebook & Pinterest or Twitter @OneSweetWriter . I love the way Elizabeth designed this book! So simple and yet so effective! Oh my goodness, that is such an amazing post! This is definitely one of the issues that I have with my daughter, I can totally see this angle working with her. I had only commented a few days ago on a previous post that 'food forgetfulness' was one of my daughter's issues (although I hadn't given it a name) and this post has given me such hope - thank you! So glad the post was helpful to you!! Best of luck in the giveaway! I'd love to hear how you help your daughter with her food forgetfulness! If you can leave a comment on my FB page or my site later that would wonderful. Do your family dinners have the same issues? What's your most difficult food? I wish I had that idea about 3 years ago. My daughter complained every time I packed her a snack for pre-school until the day I told her to do it herself. She packed the same stuff I did, but was happy. It was all about power not food. It is so, so often about power. I have to remind my husband (and myself) that it's not win or lose. I have 3 little picky eaters! If i can get them using this, it'd be great! I'm sure they would have fun doing it together!! Good luck! This is such a wonderful idea that my sister-in-law could incorporate at her house. My niece is one of the pickiest eaters and dinner time is such a hassle for her. This would be a wonderful idea for her to try with my niece. That's so nice of you to want to help your niece (and your sister-in-law!) Good luck in the giveaway! It never hurts to have a few arrows in the quiver! ;) Plus, I haven't found a kid yet who doesn't love writing/ drawing in a notebook! 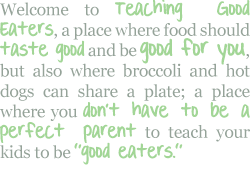 Hopefully this will help with your picky eaters Amy! What a great idea! My son is two. He used to eat anything we put in front of him, but he has become so picky. If I can't get him over it before too long, I will definitely try this strategy!